I love this quote. When I first heard it, it stuck in my head. Twain’s words make me think about what I believe are the two greatest beginnings in life: a new physical life and a new spiritual life. Both are amazing beginnings. There’s nothing like watching a mother struggle through labor and to give birth to a baby. Equally wonderful is the day a person receives their new spiritual life in Christ. I find it difficult to put into words the roller coaster of emotions involved in both experiences. When the new spiritual life is here we find out the why we were born. We’re born to have a relationship with God and to enjoy all that relationship brings. Embarking on a new year has many looking forward to beginning again, starting over, throwing out the old and bringing in the new. 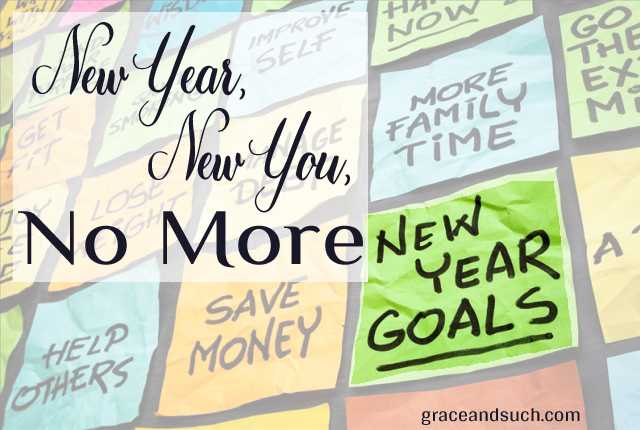 Resolutions bring new hopes, new dreams, and that longing for the do over that will set all things right again. Who’s not familiar with a New Year’s resolution? [pullquote width=”300″ float=”left”]…we’re approaching the flaws on the track all wrong. [/pullquote]We all want a version of these things. Achieving these goals will get us on the right track. But if any of you are like me, intentions are high and results are low. This is why I believe we need to grasp the real meaning of the words in 2 Corinthians 5:17. When we are in Christ…the new creation has come…the old has gone…the new is here. When we’re a new creation there’s no need to get back on track over and over and over again. We’re on the right track and we have what we need to stay on that track. What I think is we’re approaching the flaws on the track all wrong. When we need to start again, get another chance, ask for a new day, and hope for a fresh start it’s because we forget the “If anyone is in Christ the old has gone, the new is here.” We neglect to begin with the one who gave us the once for all new beginning. Instead we think we can fix the flaws without him. I want to challenge us to think about the concept of “New Year, New You, No More.” We’re new because we have faith in Jesus. No more short-lived “news” needed. Let’s give it a try; let’s really believe that Jesus is working in us to reveal his new creation, you and me, to the world. Terri started her life-changing, mysterious, and challenging journey with Jesus in 2000. She describes her life like the Beatles' song, The Long and Winding Road. Her life experiences have brought her to where she is today – the married mother of three, the grandmother to six lovelies, and serving God and serving people in the local church. By sharing her personal faith experiences, her thoughts about following Jesus and what it's like being part of his church, she hopes to help some navigate a new journey and challenge those already on the journey as they travel the faith road together. Love the idea of new mercies each day, but hadn’t considered this truth–even though I accept it–very much before. Thank you for shifting my perspective. We are so quick to forget the wonderful “new” Christ gives. Keeping our understanding of that at the forefront can bring the better perspective. Thanks for sharing your thoughts. “When the new spiritual life is here we find out the why we were born.” So easy to forget that we are born to bring honor and glory to God, not the other way around, right? Always learning. Thanks for posting this, Ter! Isn’t that the truth…always learning. Glory to God and nothing else. Thanks! This was so refreshing to read. I’m already feeling like 2016 has gotten off to a “meh” start, but you’re so right–the new HAS come, and how vibrantly I remember the day (well, night) it came! Natalie, never forget that life changing day (or night)! I look back on my day and it is still makes me overwhelmed with joy. Thanks for sharing so honestly. Always trying to fix the flaws myself. And it never works the way I had planned. Aren’t we in a similar boat? Our plans, or God’s plans. Hmmmm…something to ponder. Thanks, Jen for always keeping it real. When I started putting God in the center of the life changes I wanted to make, crazy good things started to happen. Of course it’s not all rainbows and unicorns, but much easier than trying to do it on my own, that was just plain ol’ exhausting!